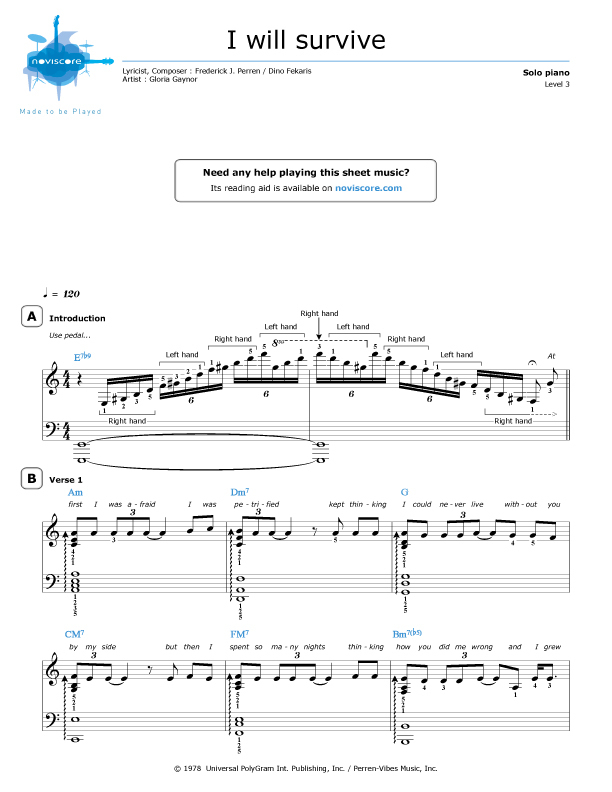 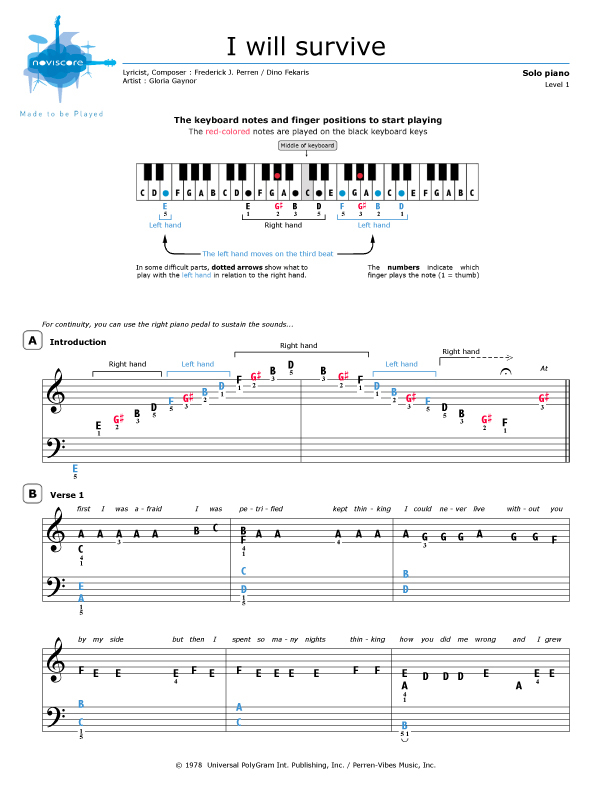 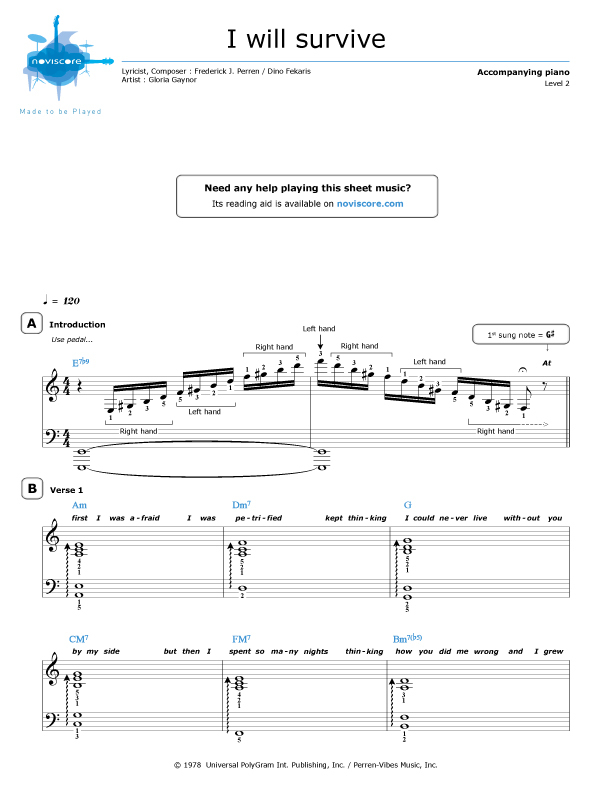 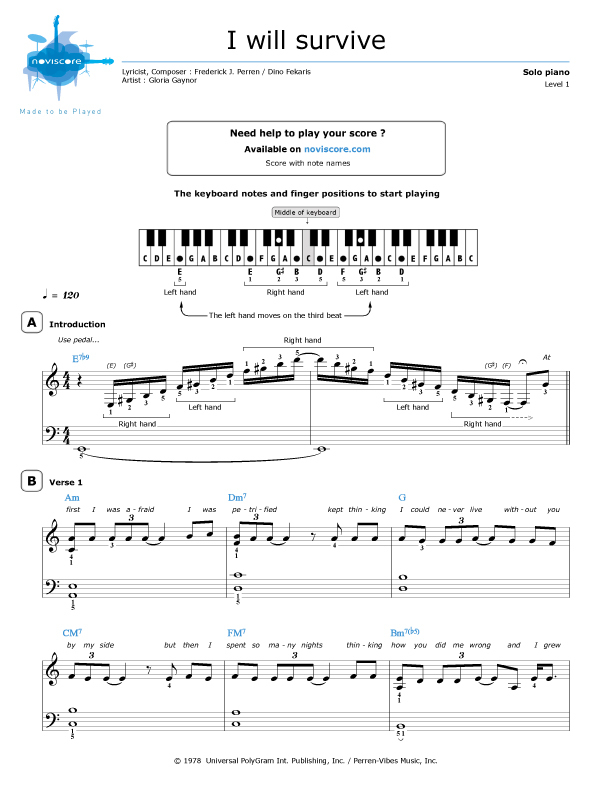 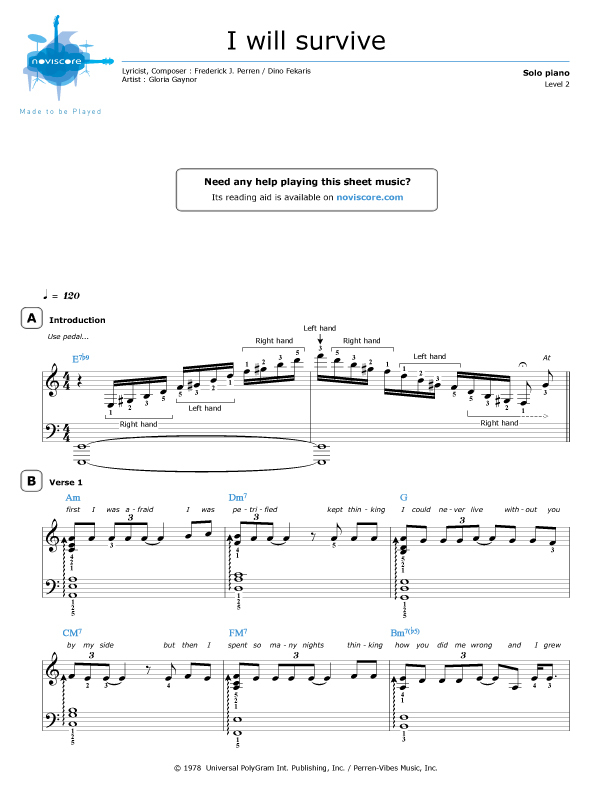 Playing one of the best disco songs of all time on the piano is possible with our "I will survive” piano sheet music. 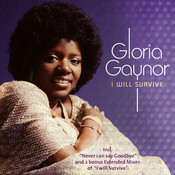 First performed by Gloria Gaynor in 1978, this global hit is a hymn to female emancipation. 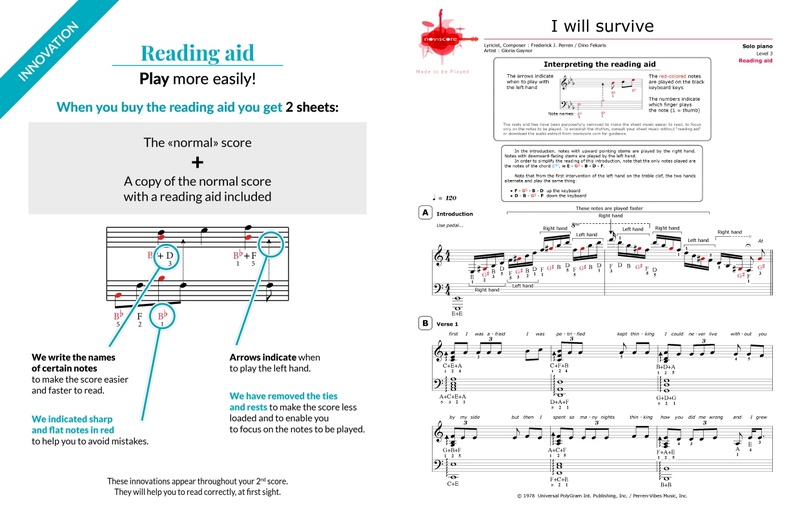 Discover our solo piano scores in several levels of difficulty (easy to confirmed) as well as a piano accompaniment version for those who prefer to sing or play alongside another instrument. 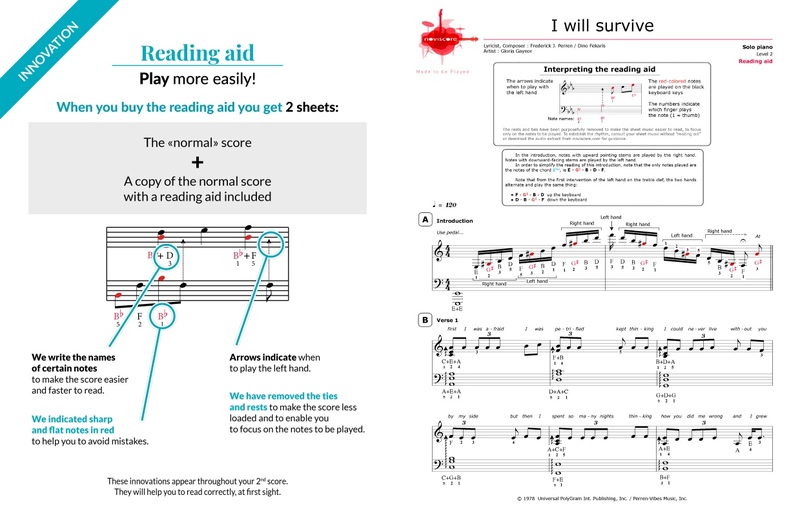 If you need a little help deciphering, there are music sheets with note names or reading aids. 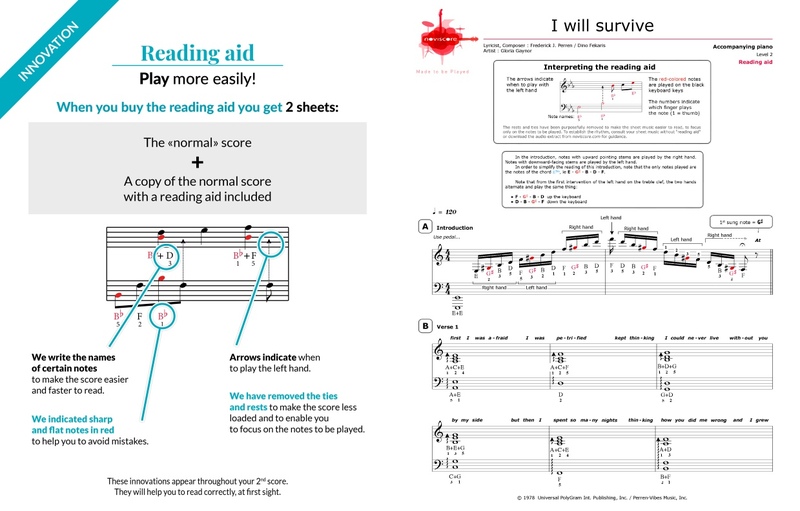 I Will Survive became the French national football team’s anthem when they won the 1998 FIFA World Cup.